There are all sorts of remote possibilities waiting at the end of a dirt road on beautiful Naramata Bench. THE NORTHWEST wine industry is filled with stories of wineries starting from hobbies that got out of hand. One winery in a remote part of British Columbia not only exemplifies that, but also is making spectacular reds in a region that should be better known for whites. 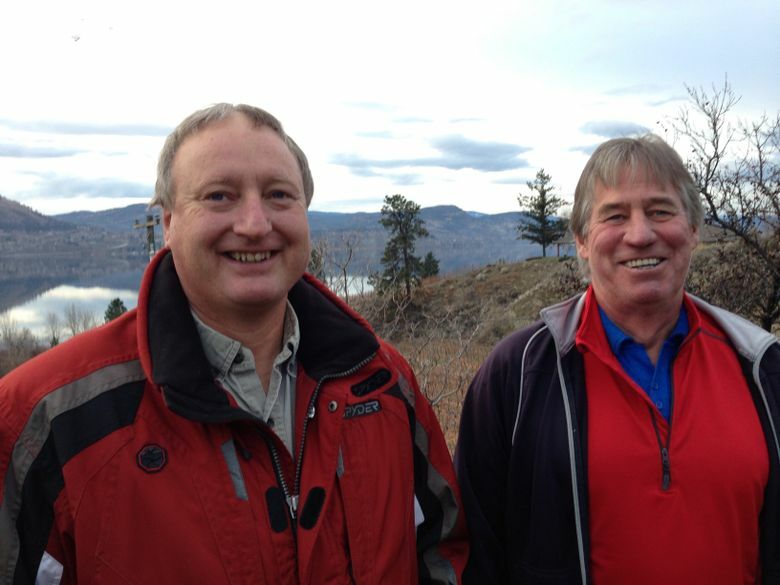 Brothers-in-law Bob Ferguson and Tim Watts started making a bit of wine in the early 1980s. By 1985, they were hungry to up their game with better grapes. Not able to find fruit that satisfied them, they began buying land and planting grapes. Great Northern Vineyards 2014 Zinfandel, Similkameen Valley, $24: Spicy aromas of ripe summer raspberries, a dash of vanilla and cranberry give way to flavors of red currants and Bing cherry, and a smooth, velvety finish. Kettle Valley Winery 2014 McGraw Estate merlot, Naramata Bench, $38: Succulent aromas of Rainier cherries, dark chocolate and dried cranberries, followed by flavors of ripe plum, vanilla and a hint of huckleberry. Smooth, velvety tannins. Kettle Valley Winery 2015 Crest Vineyard cabernet sauvignon, Naramata Bench, $38: Classic spicy aromas of sandalwood, pomegranate, plum and dark chocolate, followed by supple tannins and flavors of ripe dark fruit, plum and blackberry. By the early ’90s, they had 11 acres of vines, so it made sense to launch a commercial venture. Kettle Valley Winery — named for a historic railway — was born. Today, Ferguson and Watts craft 25 wines totaling about 10,000 cases annually. It’s all sold through their winery, restaurants and bottle shops in the Lower Mainland and Vancouver Island. A little makes it into Alberta, but none is sold south of the border. In addition to their vineyards on the Naramata Bench, they’ve established Great Northern Vineyards in the remote-but-emerging Similkameen Valley, where they are able to grow, of all things, Zinfandel. If you want these wines, you’ll need to go get them. Make the trek; it’s worth it. I’ve been drinking these wines since 2001, and I find the reds superb. I would rate Kettle Valley’s Crest Vineyards cabernet sauvignon among my all-time favorites, a wine I bring out for the finest meals or friends I really like: It’s collectible and ageable. If B.C. is on your list of places to visit, make Kettle Valley a priority.